Best Buy is currently having a special promotion for all Nintendo Switch purchases made online. 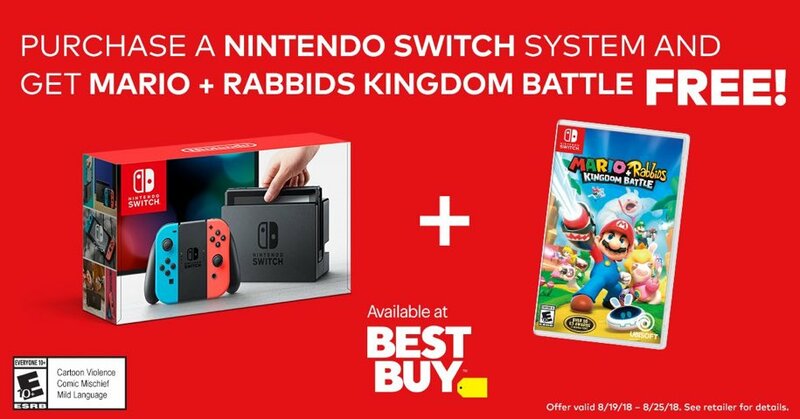 From now till August 25, purchase a Neon Blue/Neon Red or Gray Nintendo Switch console from Best Buy and receive a free copy of Mario + Rabbids: Kingdom Battle. The game will be added automatically to the cart upon adding the Switch to cart.